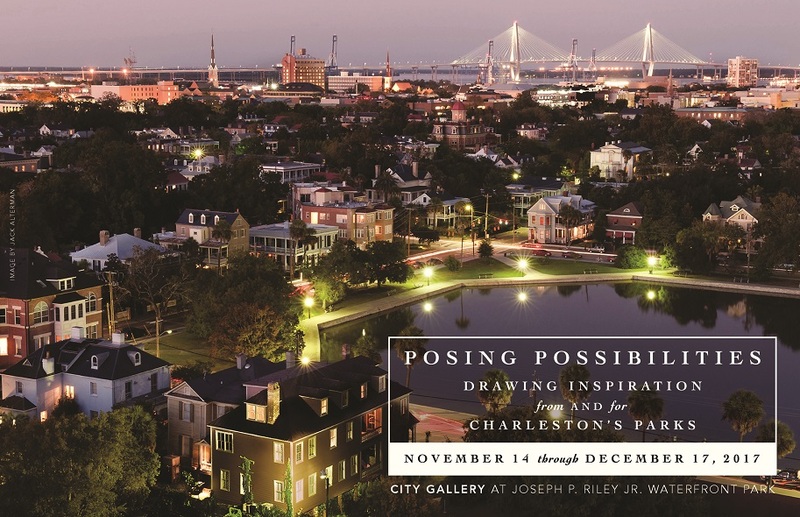 Join us to celebrate Posing Possibilities: Drawing Inspiration From and For Charleston’s Parks. Posing Possibilities celebrates the promise of public parks and the people who nurture those spaces in a collaboration between multiple artists and the Charleston Parks Conservancy, including artists Jack Alterman, Janie Ball, Karyn Healey, Alan Jackson and Hirona Matsuda, and Fletcher Williams III. The exhibition engages visitors and Lowcountry residents alike in thinking about the role of art in public spaces, as well as inspiring them with the beauty of local parks and landscapes.